By W. Gardner Selby on Thursday, December 8th, 2016 at 2:30 p.m.
Sid Miller defended his factually flawed posts on Facebook in a Wednesday interview with Austin’s KUT News, declaring: "The obvious thing is I’m not a news organization. You know, y’all are holding me to the same standards as you would a news organization." 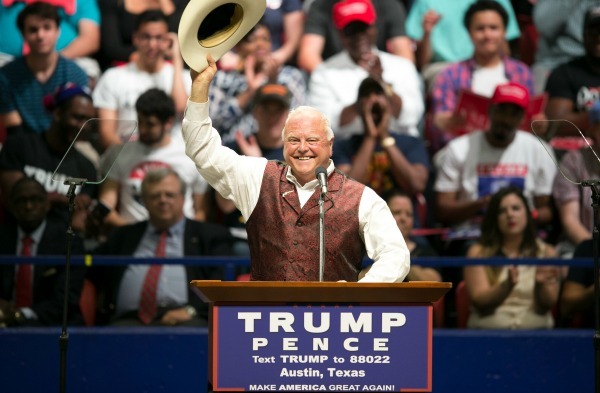 Miller, the Republican Texas state agriculture commissioner praised by Donald Trump just before November’s elections, added: "Facebook is not always a reliable source if you want factual news." Reporter Nathan Bernier asked Miller directly about PolitiFact Texas this week finding a Miller-posted photo of an actor wearing a pro-flag T-shirt to be manufactured—a fake. 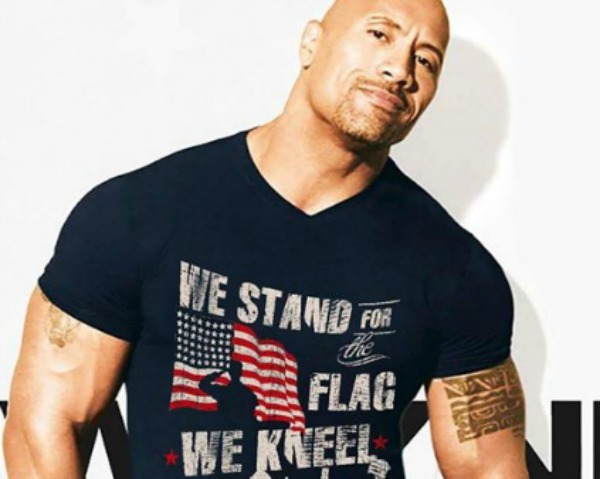 We rated False Miller's post of the photo showing Dwayne "The Rock" Johnson. Miller told Bernier: "I didn’t manufacture that picture, I didn’t make that up." Also, he said, "how do I tell he’s not wearing that T- shirt? I don’t know that. I don’t have the ability to define if that’s photoshopped or not." Asked if he should fact-check more of what he posts, Miller replied: "150 posts a week, no, I’m not going to research every one of them. If it’s thought-provoking, I’ll put it up there and let the readers decide. Everybody that reads that is grown-ups. You know, It’s like Fox News, I report and you decide if it’s true or not. We’re not maliciously trying to mislead anybody." Miller closed the interview by saying he’d take the idea of vetting posts "under advisement." Hear the full Miller interview here. See Miller's PolitiFact Texas report card here. Keep up with the latest PolitiFact fact checks by following the team on Twitter here. Hear the full Miller interview by KUT News here.